Everything is bigger in Texas because Texas is bigger than anything, which is why Galveston is the perfect Texas vacation place to go. A Texas Sized Vacation is perfect for Spring Break or a quick getaway. Galveston Island, which is just north of Houston was perfect for a quick trip from San Antonio, as it’s only about a 3 – 4 hour drive. 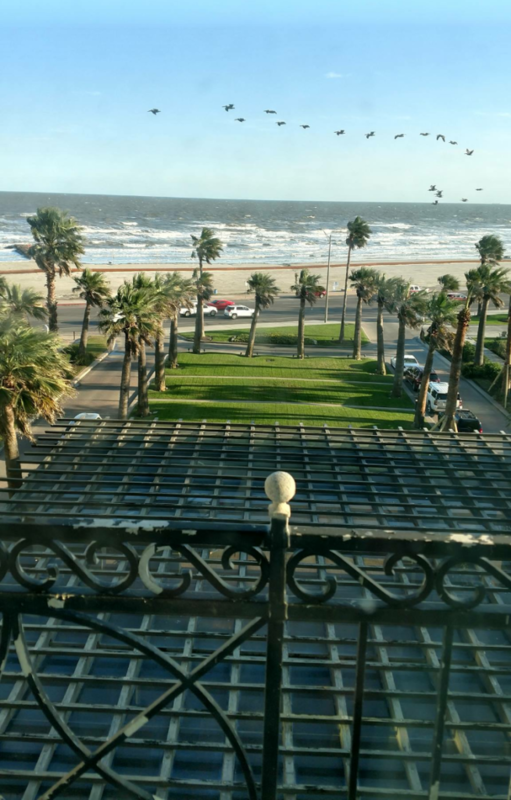 I visited Galveston Island for a sneak peak of what is available during Spring Break. 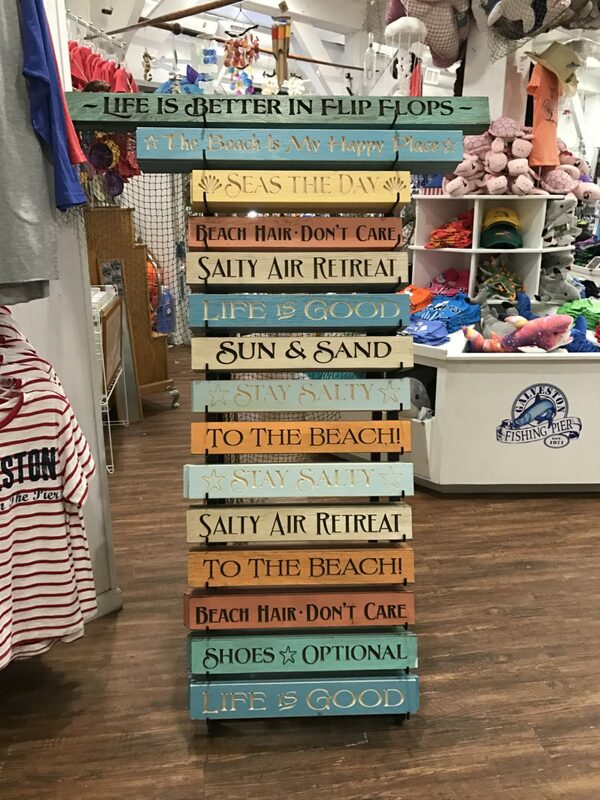 There are amazing hotels like The Hotel Galvez and so many fun attractions, restaurants, gift shops and of course a great beach you and your family can enjoy. The Hotel Galvez, is hands down, the best hotel on the island. They provided me with a wonderful room on the 5th floor facing the gulf view, and this amazing treat was waiting for me in my hotel room when I arrived. I can’t wait to share with you everything Hotel Galvez has to offer it’s visitors. 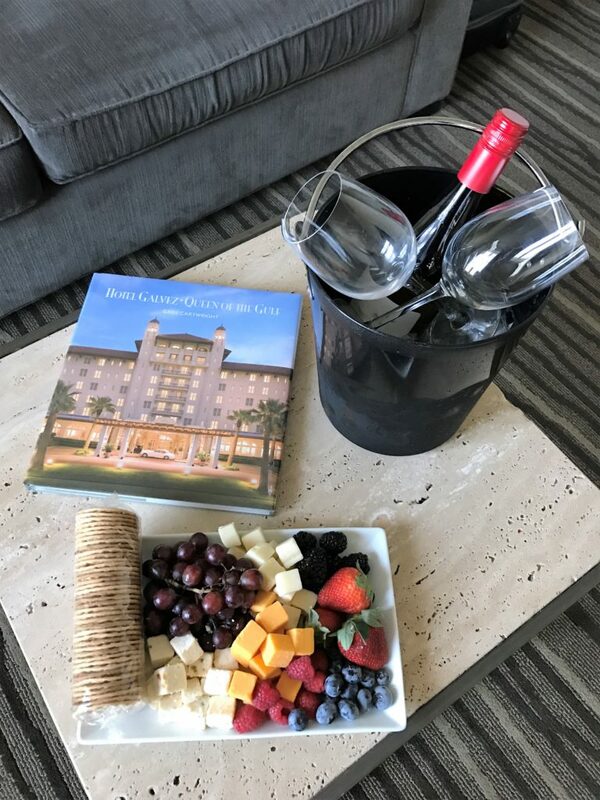 This wonderful fruit and cheese tray was waiting for me when I checked in, along with a wonderful bottle of wine, it was perfect after our drive to the Island. 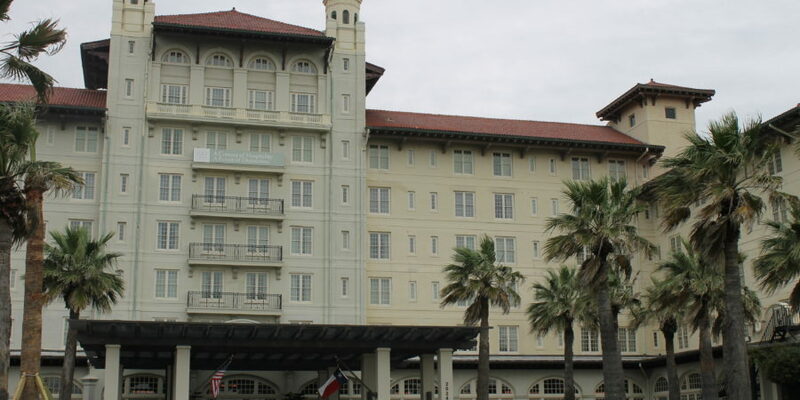 Your family could spend a whole day touring the Hotel Galvez and learning about the amazing history of Galveston Island. The hotel concierge provides an hour and a half long ghost tour, which was very interesting and exciting. 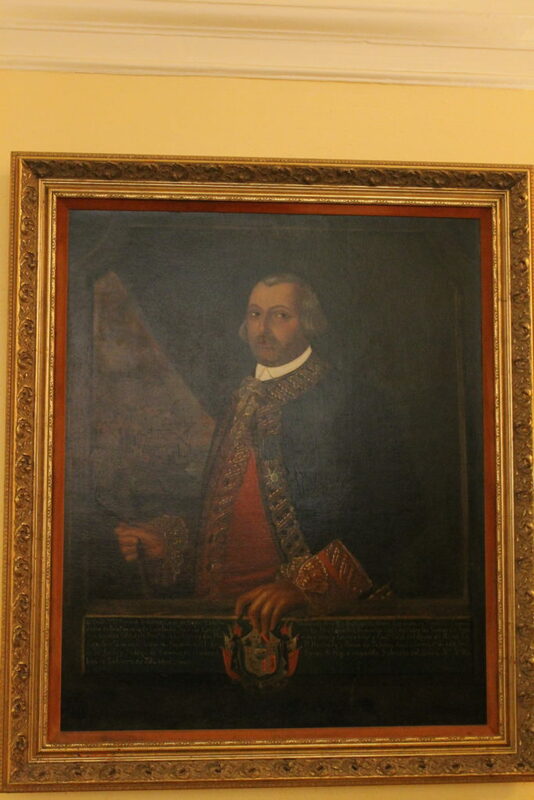 There is also a Hall of History located in the basement that is very intriguing. 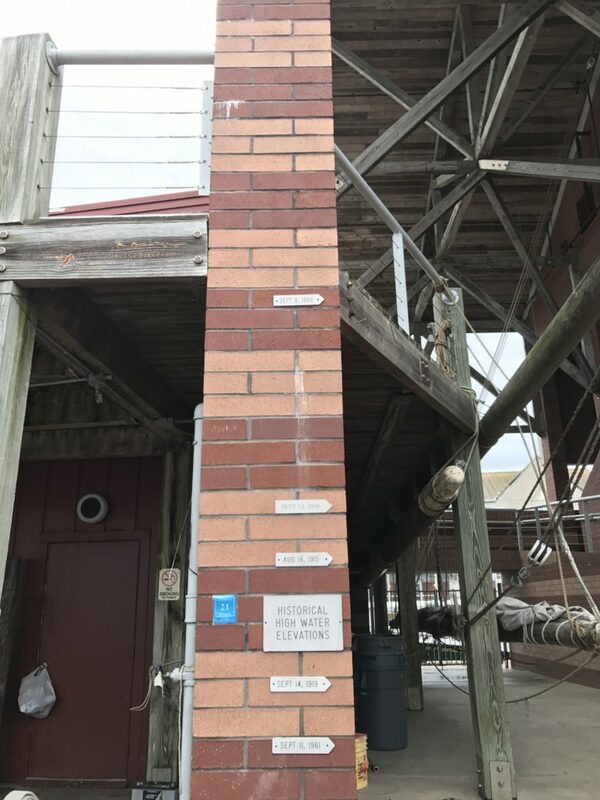 I learned so much about Galveston Island history and couldn’t wait to visit the other historical sites on the island. 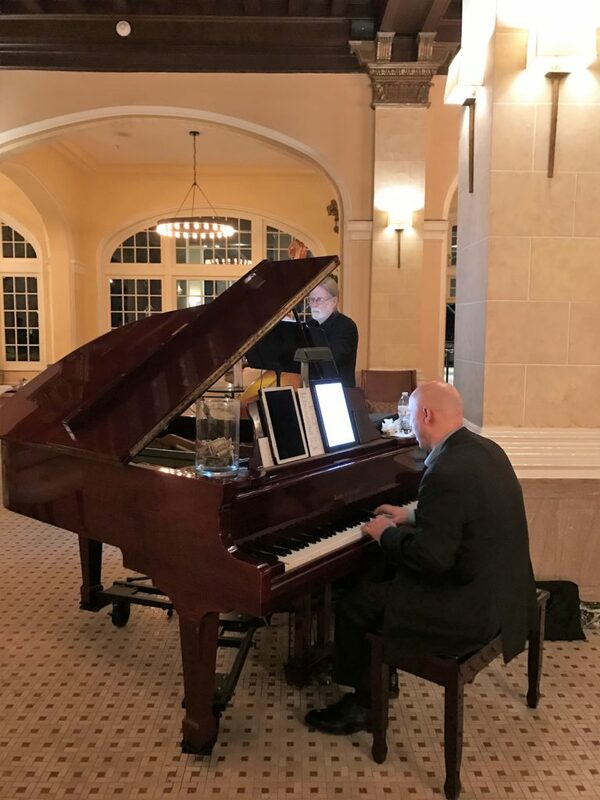 When staying at the Hotel Galvez, be sure to try out their wonderful bar and grill, the food is amazing, and there is live music playing for your entertainment. I had the gumbo and seafood salad, can I just say that the gumbo was by far the best gumbo I have ever had, and I have been to New Orleans. The first night I was there, we ate a pretty big dinner. 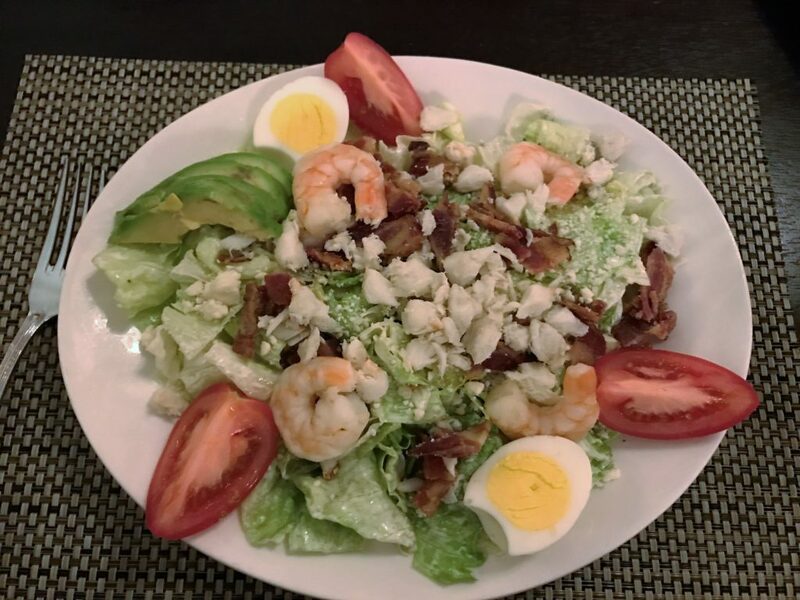 We had gumbo, shrimp salad and so much more. Even though I was stuffed, I just had to try their key lime pie. If you know me, then you know I try key lime pie everywhere I go. 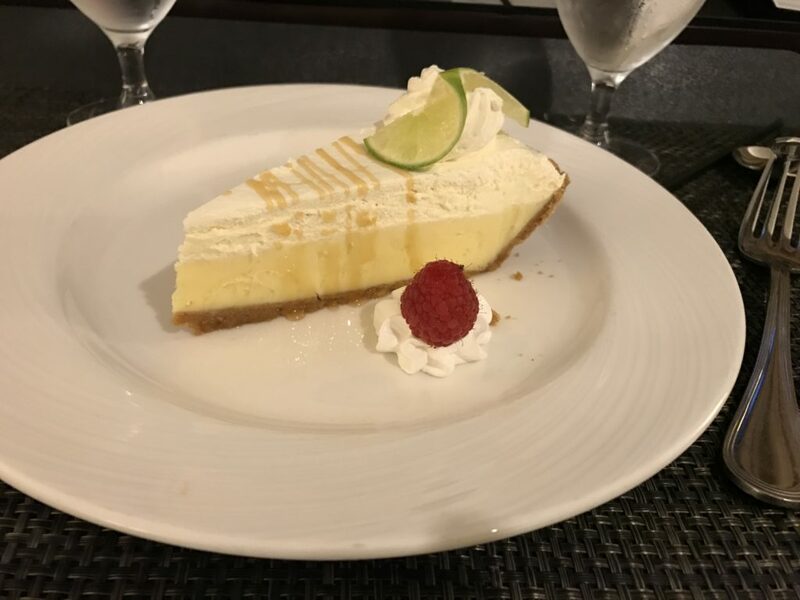 The Hotel Galvez really knows how to do it right, I ate the whole piece of pie, and I couldn’t wait to order another one. It was amazing, best I have ever had. While I was enjoying that amazing key lime pie, I decided to map out my next 3 days, I knew there would be rain during a portion of my stay, but you know that could happen during spring break too, so I wanted to be sure I shared a few attractions that you and your family could enjoy inside. 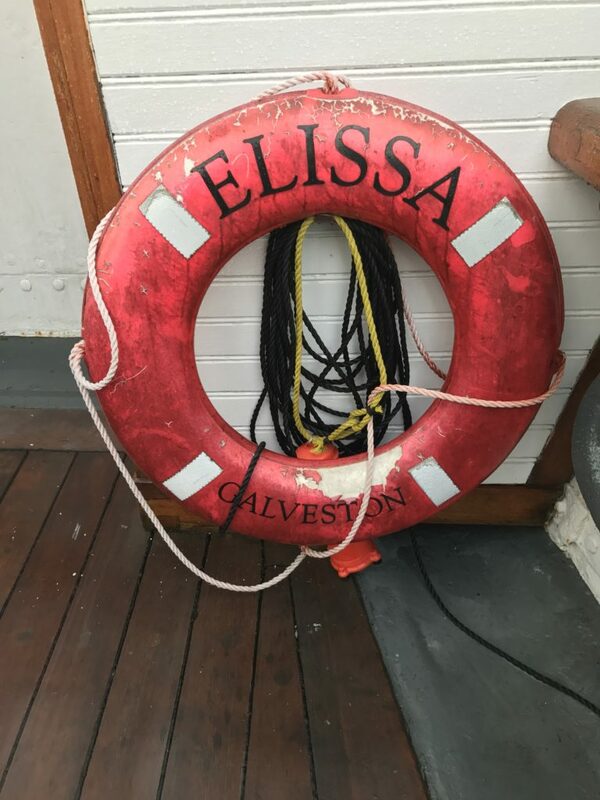 The Historical Foundation of Galveston was gracious enough to provide passes to quite a few of the Galveston Island historical attractions and the Convention and Visitors Bureau provided me with a VIP pass that allowed me to visit even more Historical attractions. 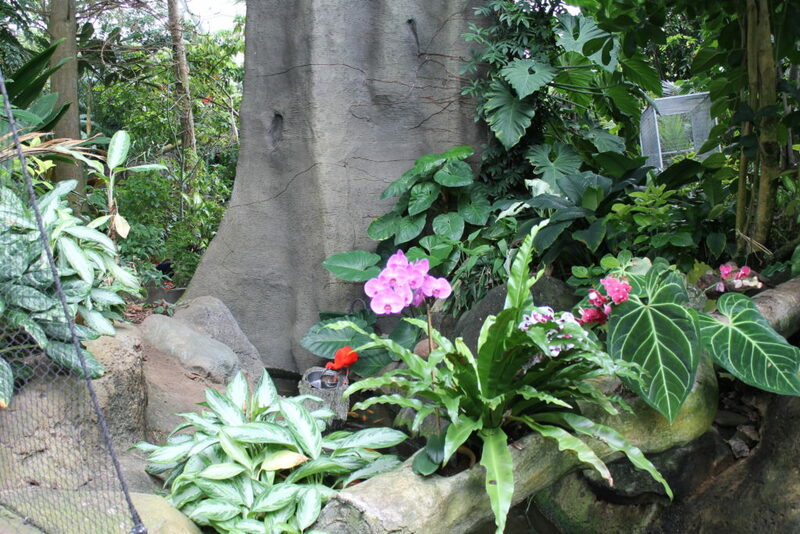 To top off the wonderful weekend, the Moody Gardens provided me and my guests with 1 day VIP passes so that we could check out all that they had to offer for the Spring Break season that was fast approaching. My first breakfast on the Island was amazing. I saw in the Galveston magazine The Convention and Visitors Bureau provided me with a Galveston magazine that had all kinds of restaurants and attractions in it and this Gumbo Diner just jumped right out at me. Boy was I glad I went here, little did I know this was going to become my favorite hangout on the island. 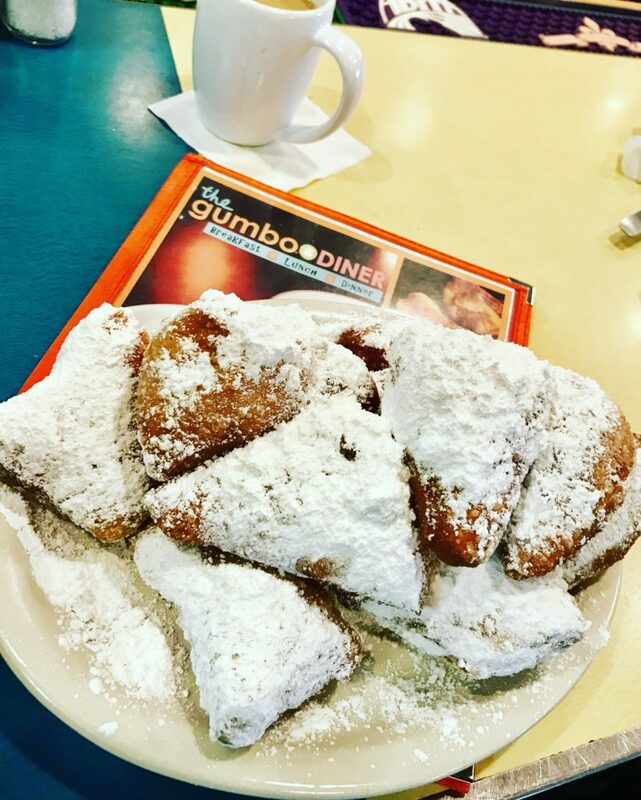 The picture showed a stack of Beignets and I couldn’t wait to get my hands on them. 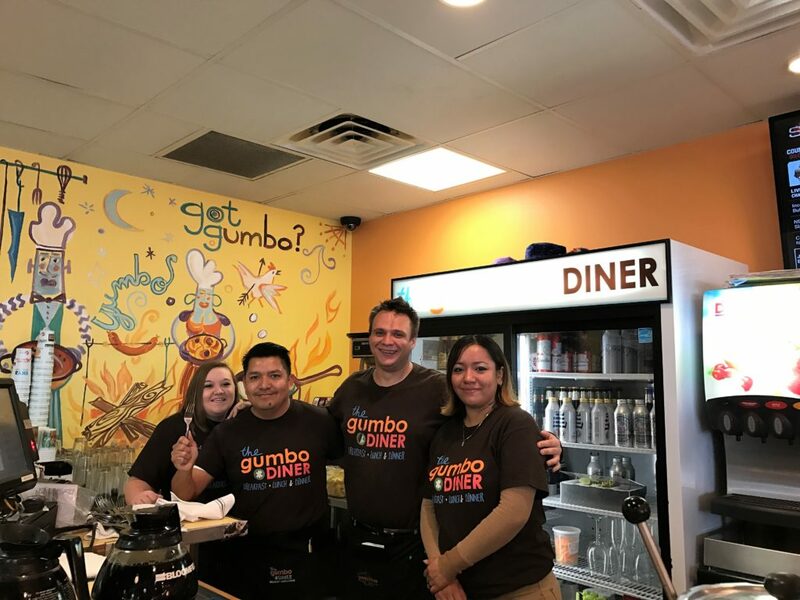 I was beginning to realize that I would probably be eating my way through Galveston Island, everywhere I went, the food was amazing, and the Gumbo Diner did not disappoint, it was amazing, I even went back later in my trip to try the Gumbo and a few other things. Great atmosphere, great food and the wait staff was awesome, very friendly and they really made you feel welcome. 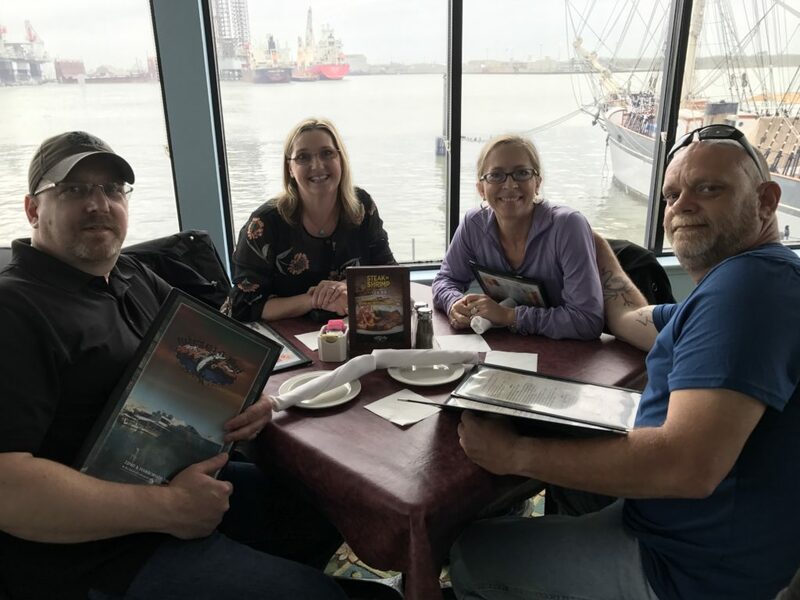 My husband and a couple of close friends were with me on this trip and we really enjoyed the Moody Gardens, we got there just in time, right before the rain started to come down. One of the funnest things to do was trying to find the animal in each exhibit. Can you see it? We found there was a lot to do there, from the 3D and 4D movies, to the beautiful Rain Forest Exhibit, to the Dinosaurs in Motion Exhibit. 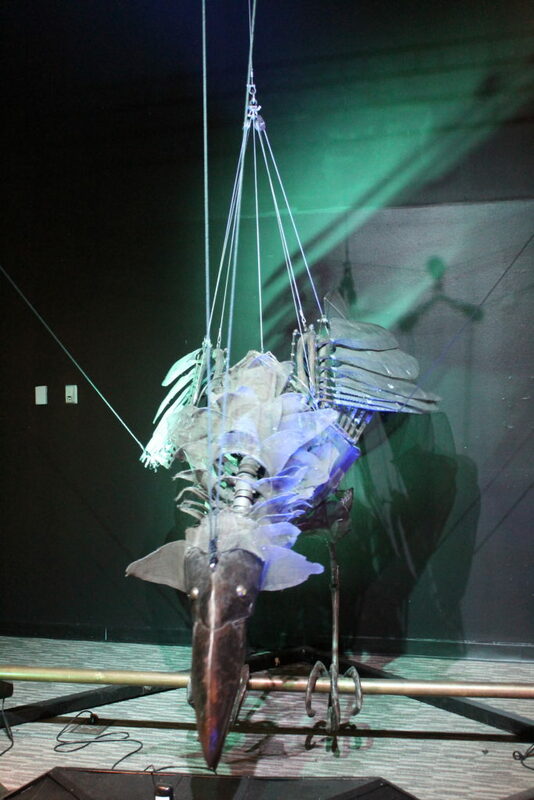 The guys really had a lot of fun with the Dinosaurs in Motion exhibit because they were made from metal and you are able to control them by remote control and hand controls. After our Moody Gardens visit we decided to check out a local eatery called Bryant’s Jungle Café. All the locals were raving about it, and you know they say if you want the best food on vacation, ask a local. This place was great, their menu was large enough for all of us to find something we would like, and the food was great, their French fries were very good. After lunch, it was time for our Ghost tour, we were excited, and let me tell you, it didn’t disappoint. 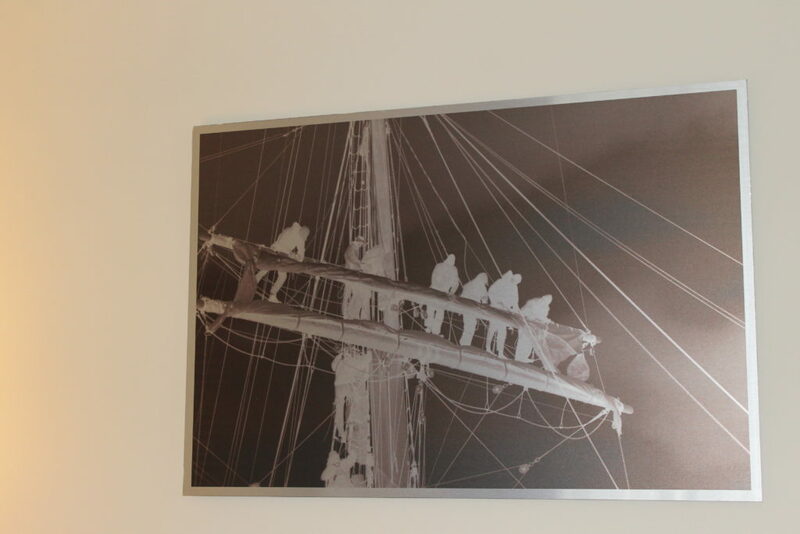 The Hotel Galvez Concierge even had pictures to share with us of ghosts that past visitors had caught on film or even with their phone cameras. The key, Melissa told us, is to take 3 consecutive pictures in the same place if there is a ghost there, they will show up within one of the 3 pictures. We even got to visit room 501, which has a sad and wonderful story behind it. Be sure to ask for that part of the tour, if it is available. The ghost tours are only available certain times of the week, so be sure to check with the front desk when you arrive for your stay to find out when the tours will be available. 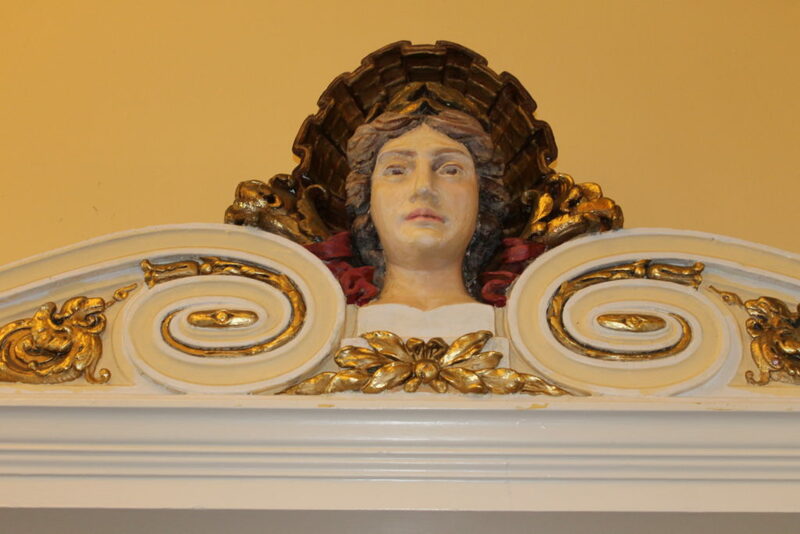 The Hall of History is always open for you to check it out. 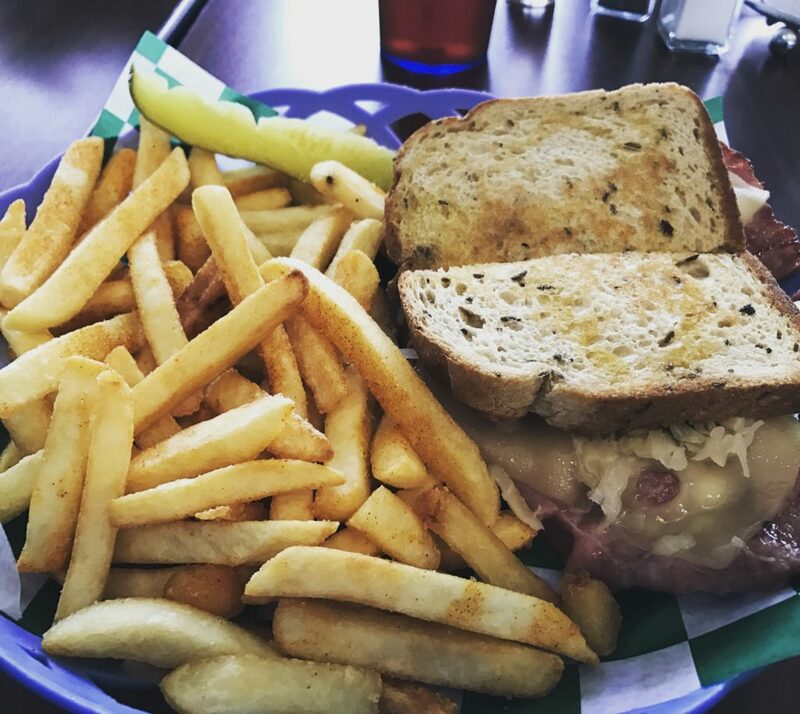 After the tour, we decided to hit up a couple more local eateries and bars to see how they stacked up to all the wonderful places we had visited so far. 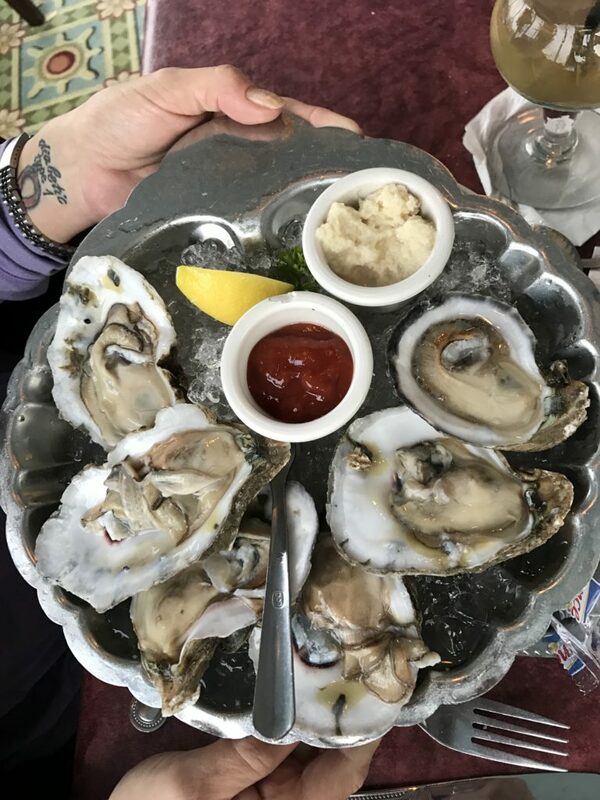 It is the Island, so we had to get our Oyster fix, the cool thing about that is there are oysters on almost every restaurant’s menu. 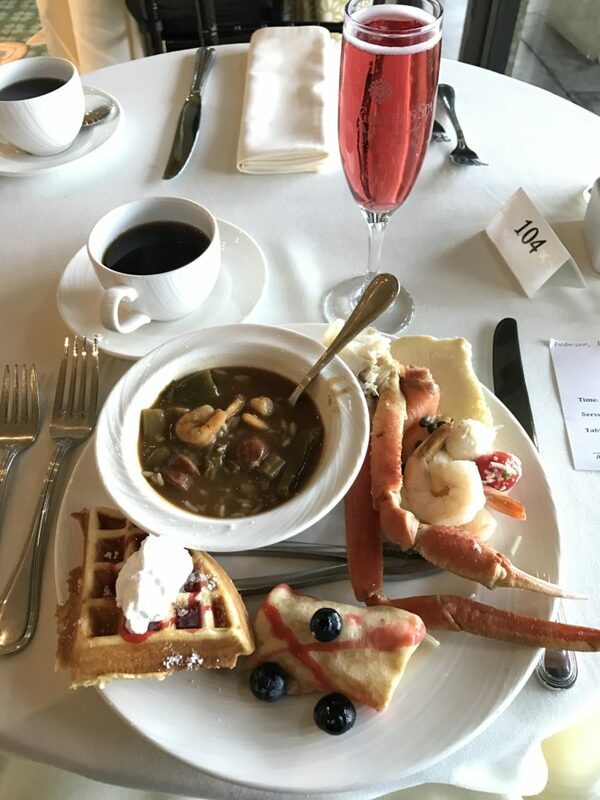 The Sunday Brunch was amazing and it is available every Sunday, please check with the front desk for prices and availability as you do have to have a reservation. 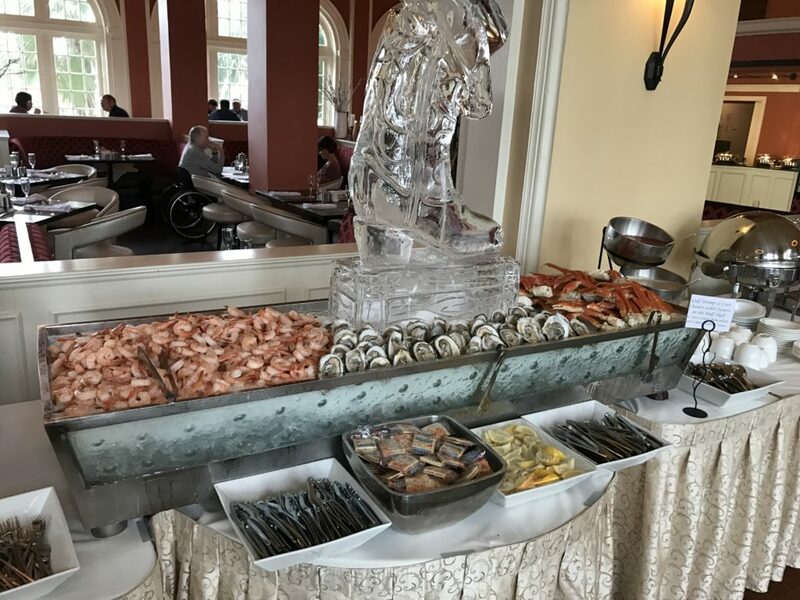 I wish I would have had a bigger stomach, there were so many choices, from an omelet bar to a waffle bar, to a seafood setup, complete with an amazing ice sculpture, even a carving station with prime rib and ham. 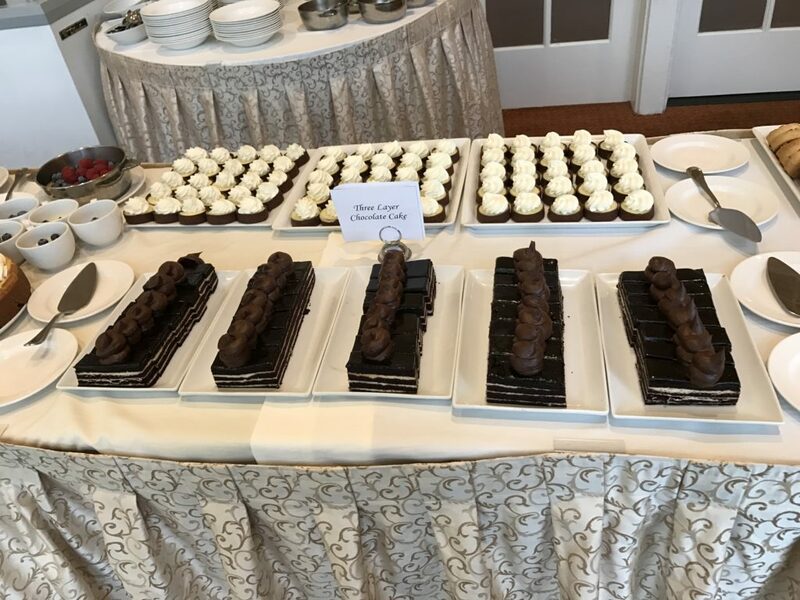 The dessert tables were amazing, yes, I said tables. This picture really doesn’t do it justice, how do you choose just a couple, I would have had to stay there for every meal that day and then some just to try everything that was available. After brunch, we headed off for an Historical tour of Galveston Island. We started at the Bishop’s Palace, it was beautiful, and amazing and unbelievably, it made it through the great 1900 hurricane. Next we headed to the Texas Seaport Museum where we were able to watch a short film about the formation of Galveston, the 1900 hurricane, and the rebuilding of Galveston Island. 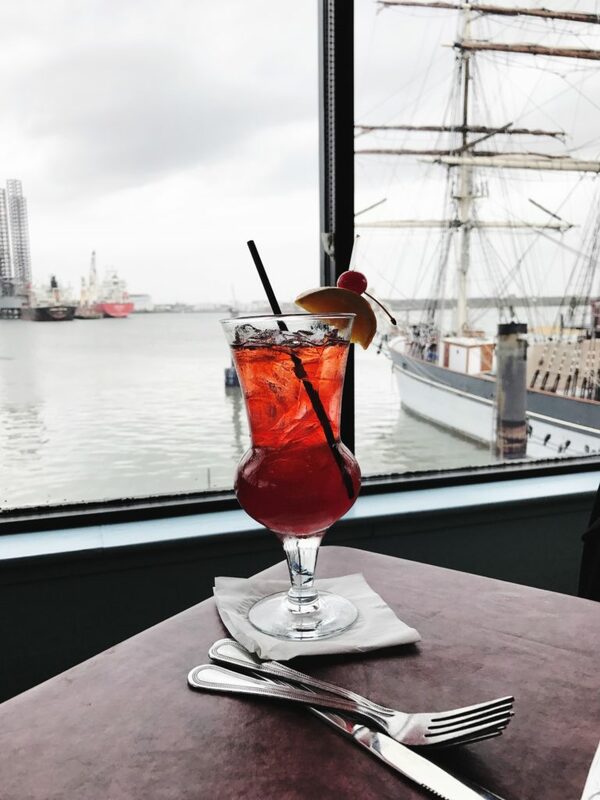 We then grabbed a bite to eat at the Fisherman’s Wharf, the food was great, the drinks were yummy and the view was a perfect. We then finished our day checking out the Tall Ship Elissa and the Seaport Museum. 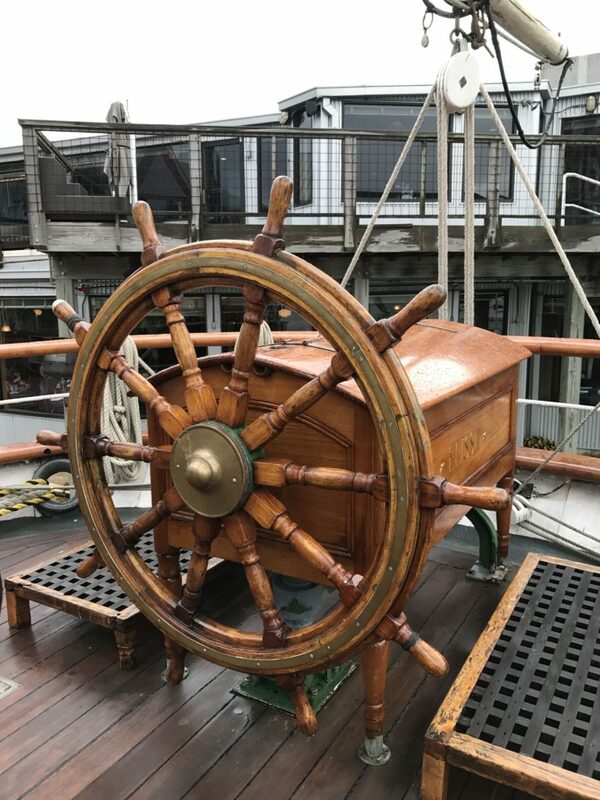 I remembered coming here when my son was only 4 and how much he loved being on the ship and seeing where all of the crew slept and what the quarters for the captain looked like. There is a movie, and an exhibit that shows visitors the history of the hurricanes that have hit Galveston. The most destructive hurricane was in the early 1900’s, and the most recent hurricane that devastated the island was Hurricane Ike. 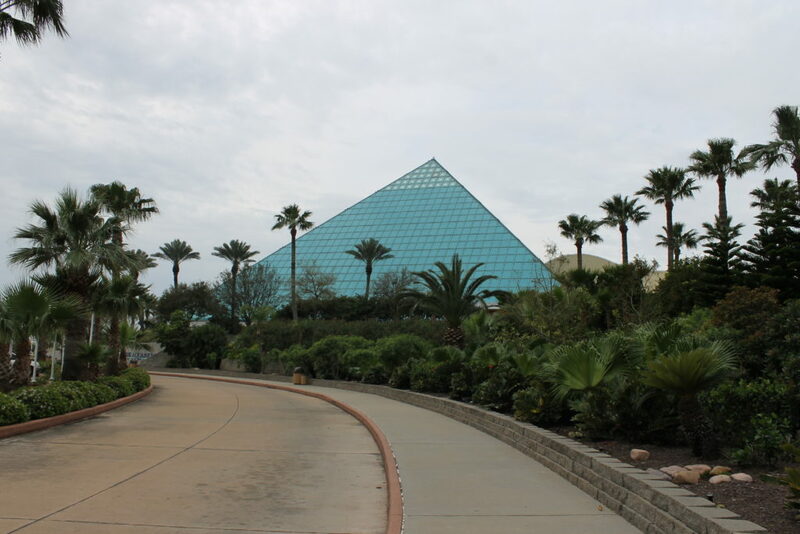 There is so much history see in Galveston, it is the perfect destination for Spring Break or even a weekend getaway. Be sure to visit the Convention and Visitors Bureau and the Galveston Historical Foundation before you head off on your trip so that you can make a plan, it’s also fun for the kids to plan what they would like to see and do on their vacation.